© 2019 GetApp. All Rights Reserved. GetApp® is a registered trademark of Nubera eBusiness S.L. Project management software helps organizations manage and deliver projects on time, on budget and within scope. Here you’ll find a comprehensive list of project management tools and user reviews. Filter, sort, and compare tools side-by-side to find the best options for your business. Read our software buying guide to learn more about what to look for. GetApp's quarterly ranking showcases the leading 10-15 Project Management apps based in the cloud. Each app is scored using five factors, worth 20 points each, for a total possible score out of 100. These factors include user reviews, integrations, mobile app availability, functionality, and security. Each app's score is independent of commercial interests and existing relationships that GetApp has with app vendors. Scroll down for more details about inclusion criteria and scoring. Who is the ranking for? 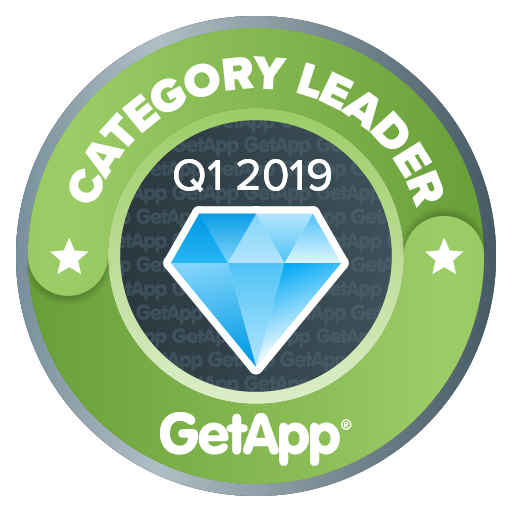 GetApp's Category Leader ranking is for business owners and decision makers looking for a comprehensive list of the leading cloud-based software products in the industry. The ranking serves as a point of reference highlighting key factors that small businesses should look at when assessing a piece of software. These factors include user perception (reviews), compatibility (integrations and mobile compatibility), market presence (media presence), and security features (security). How are the scores calculated? An app's score is calculated using five unique data points, each scored out of 20, giving a total score out of 100. The ranking and scoring methodology ensure complete impartiality and independence from any relationships that GetApp has with app vendors. Review scores are calculated using reviews collected from GetApp and its sister sites, Software Advice and Capterra. Scores are calculated based on the total number, average rating, and recency of reviews. The number of reviews and average user rating are scaled against the category average. A weighting is then applied to reward recency of user reviews: reviews written in the last 6 months score up to 10 points, those written between 6 and 12 months ago score up to 6 points, and those more than 12 months old score up to 4 points. These numbers are added together to give a total maximum score of 20. Integration scores factor in a number of variables. Up to 16 points are awarded based on the number of integrations an app has; the first 10 points are awarded based on the number of integrations relative to the category average, while 4 points are awarded based on the number of integrations relative to the leaders in the category. An additional 5 points is awarded for an integration with Zapier, a widely used software integration platform, while an extra point is given for having an open API. The total possible score for integrations is 20 points. Mobile scores are calculated based on the availability of an iOS and Android app. 5 points are awarded for the presence of each app, with an additional 10 points being awarded for the number and average rating of reviews in both the App Store and Google Play. These review scores are calculated and scaled against the competition for a maximum of 5 points per platform and an overall maximum score of 20. If there isn't a native iOS or Android app, the product's website is assessed using Google's PageSpeed Insights to measure mobile usability. The score is returned out of 100, then scaled to a score out of 5 for a maximum of 5 points. Media presence is calculated using the number of Twitter followers and Facebook fans that an app has. The number of fans and followers are added together, and each app is scored based on this overall number, compared with others in the category. The first 15 points are awarded for the combined number of followers and fans scaled against the category average, while the final 5 points are awarded for the combined number of followers and fans scaled against the top leaders in the category. These two scores are added together for a total out of 20 points. Security scoring is calculated using answers from a vendor-completed survey. The questions in the survey are based on the Cloud Security Alliance self-assessment form as part of the Security, Trust & Assurance Registry. With 15 questions, each answer is assigned a point value based on vendor response, with additional points given for security certifications, for a maximum possible score of 20. In the event of a tie, each data point is weighted for importance, with security taking precedent, followed by reviews, integrations, mobile apps, and media presence, respectively. * All data points combining calculations for both ratings and reviews are calculated using a Bayesian estimate, which is a weighted average that includes the number of reviews and the rating of an app, benchmarked against others in the category. GetApp® is a registered trademark of Nubera eBusiness S.L. Vendors bid for placement within our listings. This option sorts the directory by those bids, highest to lowest. Vendors who bid for placement can be identified by the blue “Visit Website” button on their listing. Sorts listings by overall star rating, based on user reviews, highest to lowest. Listings previously selected by users whose company industry and size match yours. Recommendations are not sponsored.